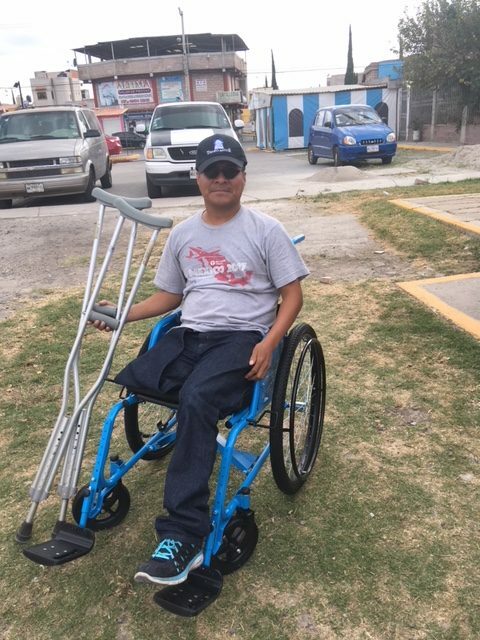 Yesterday Francisco and I drove the 3 hours to Toluca to pick up 30 wheelchairs, half of which will be going to needy areas of Oaxaca. Francisco is the director of a nearby rehab center that we frequently visit and try to support. New to the wheelchair ministry…the Generation 3 chairs, which are fold-able and seem to be a bit more lightweight. 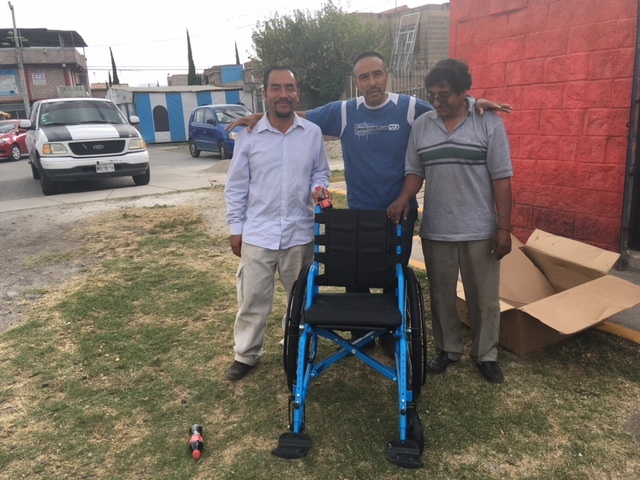 Our first assignment…assembling one of the Gen3 chairs for our friend Marcos, who helps us coordinate some of our community outreach programs. One the way back, the Astro performed like a trooper, with 18 of the 30 boxes containing the un-assembled chairs packed away. Francisco and his pickup truck carried the other 12 back. We were, of course, hungry after all that driving and carrying, and stopped at the very first little roadside stand we found. 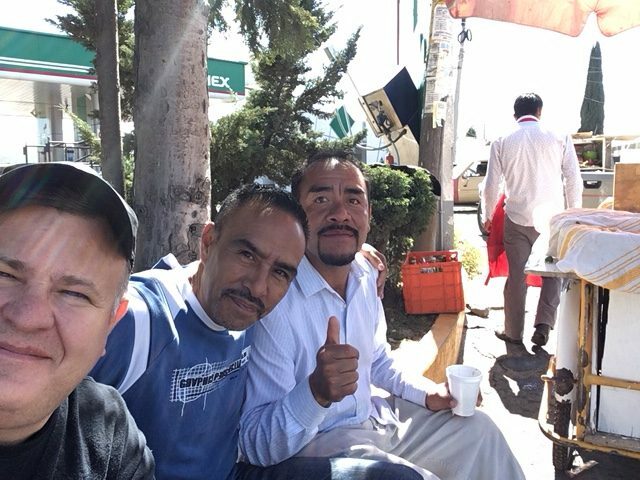 The little, dingy, marginal stands always serve the best food, in this case, birria complete with salsa, onion, cilantro and a cup of consomé, a tasty, fatty mutton broth. It is imperative to eat the consomé quickly before the fat in the broth hardens at the top. I apologize to those of you who think that I talk about gross food to often, but don’t expect me to stop anytime soon, and it’s not gross, it’s oh so tasty! Thanks again for those of you who have contributed to our ongoing relief efforts after September’s killer quakes! If you read this and vaguely remember Toby Keith saying that he likes his girlfriend and his truck, but he “loves this bar,” well, you must listen to more country music than you’re willing to admit. Me too.